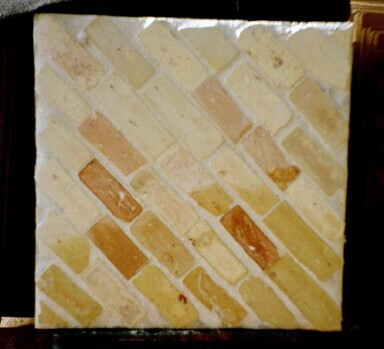 Top right: One style of interesting mosaic tile we make uses slices of antique Danish brick. These slump brick came to St. Croix as ships ballast in the European (mostly Danish) ships bringing supplies to the island and taking rum and molasses back to Denmark. 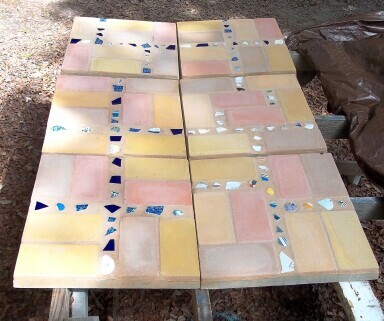 Those thrifty Danes would often pick up clay from the ground as the excess came off the brick molds, and throw the pieces back into the next batch of clay. 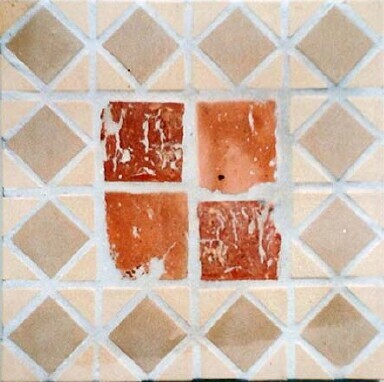 So the brick often had clay pieces of many colors inside each one; these other brick colors are not revealed until the antique brick is sliced. And then the surprise! 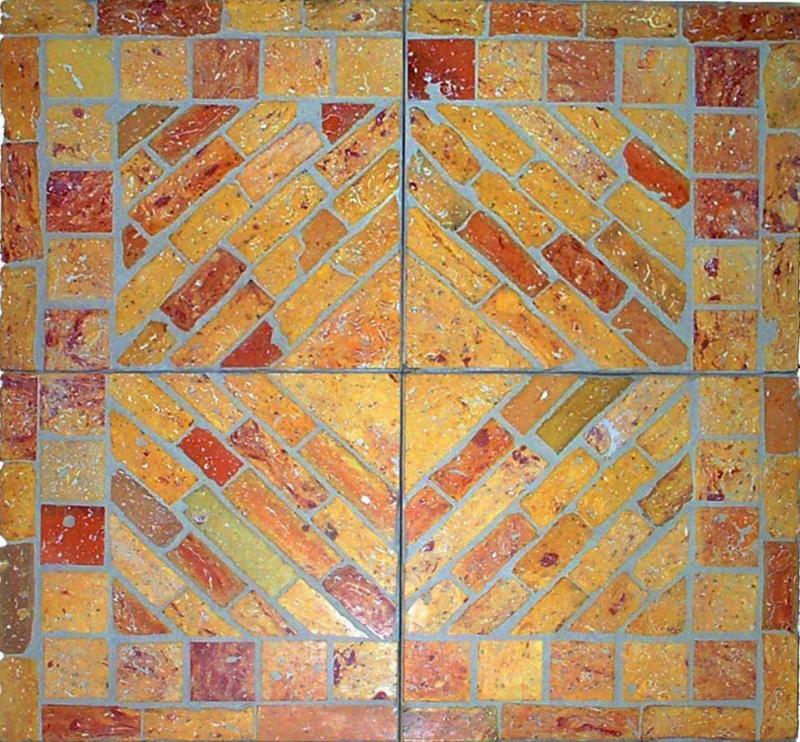 Yellow ocher brick have terracotta inside; tan brick have yellow; terracotta brick have tan; etc. 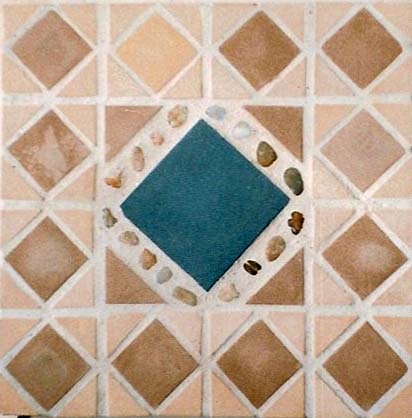 ; and the patterns are unique. 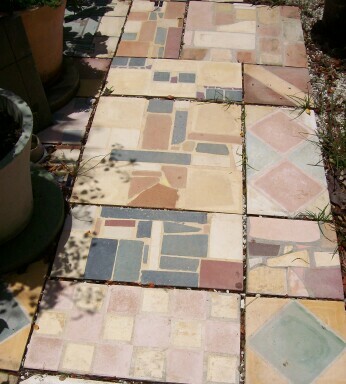 These mosaic tiles are very special; some day there will be no more pieces. Modern Danish brick are not at all the same. 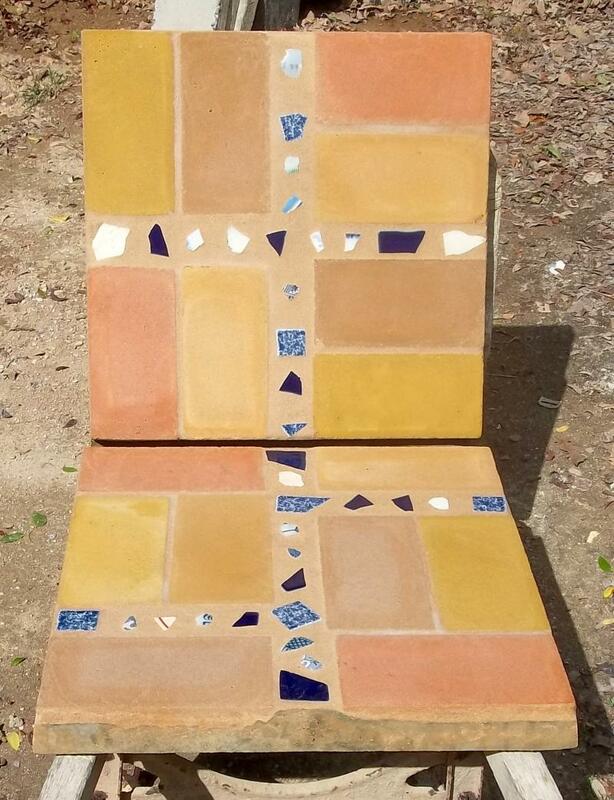 We also make mosaics using our tile, found stones, china pieces off the beach, or special mementos you may contribute. 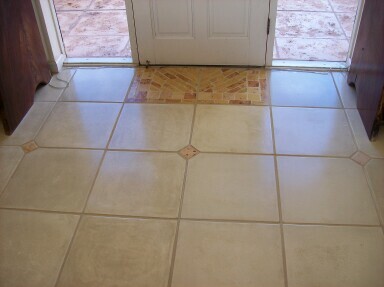 20 X 20 X 2, suitable for walkways.